BAE Systems has begun integration efforts for MBDA’s Meteor beyond visual range air-to-air missiles and SPEAR precision surface attack missile for the UK’s fleet of F-35 aircraft. A team from BAE, Lockheed Martin and MBDA are working on the integration project, with Lockheed Martin providing the initial funding award for the work. This initial package of work will see BAE and Lockheed Martin also complete further integration work with MBDA on ASRAAM and with Raytheon on Paveway IV, which was initially integrated in support of delivering initial operating capability (IOC) for the UK. “BAE Systems engineers played a crucial role in supporting the UK to achieve IOC for its F-35 fleet. Now, working alongside our partners including Lockheed Martin and MBDA, we are using our expertise to take that capability even further with advanced weapons systems such as Meteor and SPEAR," Tom Fillingham, senior vice-president – US programmes of BAE Systems, said. Cliff Waldwyn, head of combat air, group business development of MBDA, added, "This is a significant milestone for the UK combat air’s capability. This initial package of work officially commences the integration of Meteor and SPEAR and will enhance the operational capability of the UK’s Lightning Force in the future; it is also a positive step for the wider F-35 enterprise as it adds additional capability choice for international customers. Last month at Avalon Airshow, MBDA showcased a series of advanced weapons systems designed to enhance the strike capability of the Royal Australian Air Force and its next-generation air combat capability, including SPEAR, Meteor and ASRAAM. Head of TMO military advisers at MBDA, Russ Martin, outlined the specific-capabilities on offer to the RAAF based on the successful development and integration of key platforms in the UK. 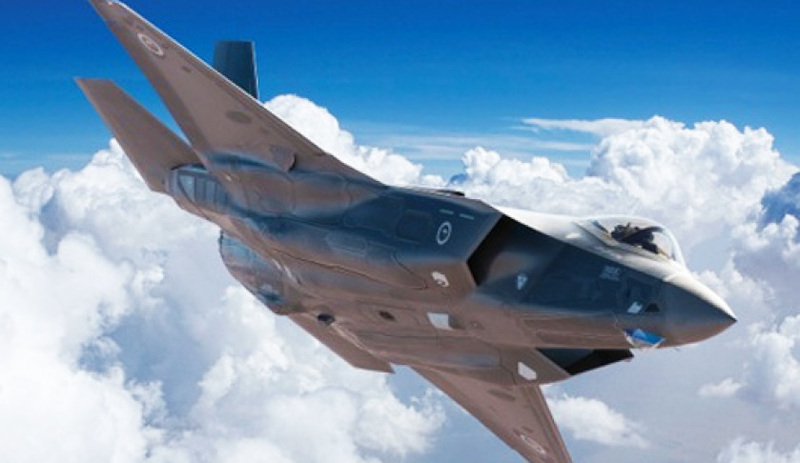 "The UK has been working with Australia for some time on the F-35 and we have seen success between Canada, Aus and the UK on the reprogramming facility in the US, which can be expanded to include weapons systems," Martin said at the time.